The Faber TBWC-59 Compensated Wraparound is a 50s vintage style bridge with special compensated string guides made from brass. The compensation staggers the point where the strings leave the bridge to improve the intonation of Gibson Melody Maker and LP Junior style guitars that often come with a plain, non-compensated tailpiece. 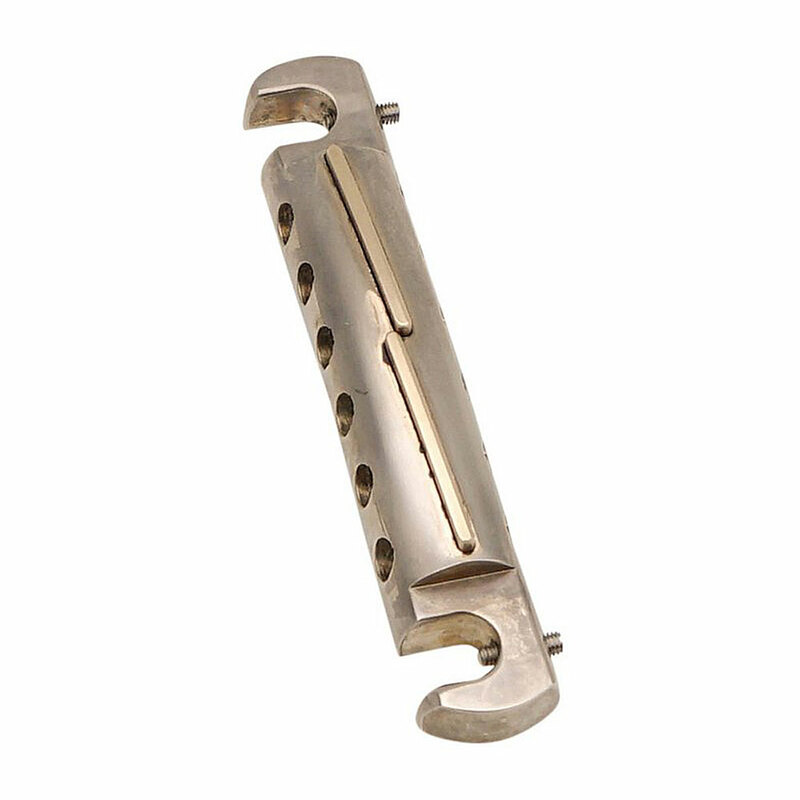 The bridge is made from lightweight aluminium and designed as an upgrade piece (or to replace an original vintage piece for preservation) it comes as just the body, bridge posts/studs and body bushings/anchors are not included. In addition to the compensated string guides there are allen/hex screws behind the bridge posts that can be adjusted to move the whole bridge backwards and forwards and also slant it to add more intonation room to heavy bass strings.